Animal Capture Wildlife Control's process in los angeles is always humane. We come to your location and start with an inspection. Whether it’s raccoons in your attic, skunks tearing up your garden, or raccoons and skunks under your house. We do it all! We service all cities from Los Angeles to Bakersfield. 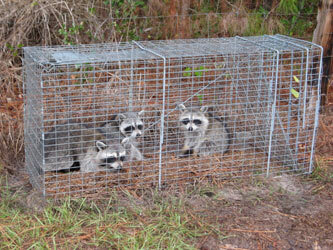 In a raccoon removal, we identify where the animals are entering the structure. We usually set up 3-5 humane traps to catch the animals. After the animals are trapped, we leave the traps for another 5-7 days with nothing in the traps. Then you know you have trapped all the animal causing the problems. If you leave the traps longer than that you could potentially trap random neighborhood animals that are not causing a problem. There is NO charge for the time length of having the traps at your location in los Angeles. We service all city trapping. In many cases, people have skunks, raccoons, opossums, Bat, snakes, and other wildlife that enter the home via a doggy door, a window left open, or door left open. We respond immediately in these situations. We always put safety first when it comes to homeowners and animals! Animal Capture comes in and removes the animal in the most humane way possible. We will take the animal out via catch-all pole and put the animal in a trap. This is something I am very comfortable doing. I have been doing this for over 20 years. We service all cities nearby Los Angeles. 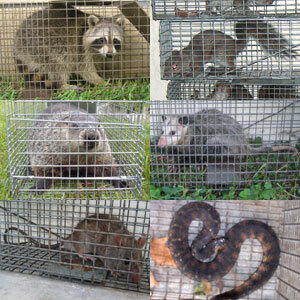 Animal Capture Wildlife Control calls for solutions for both animal and man alike by freeing your home or business of all skunks, raccoons, opossums, bats, coyotes, and snake problems in a timely fashion. We are the company you have relied on for years! We service all cities of greater Los Angeles to Bakersfield. 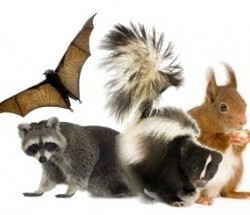 We have the expertise and experience animal removal Team in Los Angeles to solve diverse problems such as skunk removal, skunk trapping under buildings and decks, raccoon removal, raccoon trapping in attics and under floors, snake removal, bat removal, opossum removal and opossum trapping in attics and under floors. We are also experts in dead animal removal in Los Angeles. When an animal dies in the attic, under the floor, or in the wall, it takes an expert to search for and locate the animal. We carry out inspections in attics and under floors while these animals are still in these locations. Most importantly, we have the knowledge to search out the damage done by these animals. Our job is to safely and humanely put an end to your uninvited wildlife guests. We accomplish this by educating our customers about these animals, the damage they cause, and where the animals are entering, so it does NOT happen again! We remove skunks, raccoons, opossums, and other wildlife immediately if possible, or we will set up humane traps that catch these animals alive. 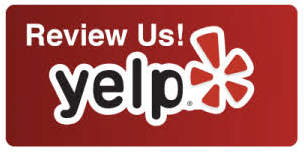 Our goal is to eliminate future problems and ensure the safety of your property and you! Here at Animal Capture Wildlife Control, we are big on customer service! We are a family owned business, so we treat you like family! We service property owners, real estate and property management companies, studio lots, golf courses, theme parks, homebuilders, and municipalities at large. Contracts are available. Many pest control companies, homeowner associations, law enforcement agencies, and state humane officers also recommend us. We cover all city animal trapping. Animal Capture Wildlife Control has been featured on "Larry King Live," on CNN, and "Dirty Jobs" on the Discovery Channel. Governor Pete Wilson awarded a Special Commendation on behalf of California to Animal Capture Wildlife Control on September 26, 1997 for our animal rescues and for being a positive example of community involvement and leadership, and we also received recognition from President Bill Clinton on March 14, 1995 for selfless dedication to improving our community and spirit of service. We specialize in raccoon removal in Los Angeles! We are experts when it comes to raccoon problems. Most of our raccoon removal calls are for raccoons in the attic, raccoon mothers with babies, raccoons living under the home, raccoons ripping vents off the home, raccoons ripping up the garden and sod, and raccoon latrines on the roof. Most of these problems are solved by trapping and removing the raccoons. I solve these types of situations in all cities of Los Angeles. "Read More"
The California Ground Squirrel, Spermophilus beecheyi is common through the western United States. The California Ground Squirrel is a member of the rodent family. The squirrel measures 12-18 inches from noes to tail and weighs approximently one pound. Ground squirrels are active year-round and primerily live in burrows. They feed on a great variety of foods, such as nuts, seeds, fungi, fruits, and of course the seed in your birdfeeder. "Read More"
We specialize in opossum removal in Los Angeles area! We are experts when it comes to opossum problems in Los Angeles. Most of the calls we get are for opossums in the attic, opossums living in the garage, opossum mothers with babies, opossums living under the home, and opossums ripping vents off the home. I also get many calls in Los Angeles from people that are having a major flea problem due to opossums living on the property. Opossums are known to carry a heavy amount of fleas. Most of these problems are solved by trapping and removing the opossums in Los Angeles. "Read More"
We specialize in skunk removal in all cities! We are experts when it comes to skunk problems in Los Angeles. Most of the calls we get are for skunks living under homes, skunk burrows, skunks living in the garage, skunk mothers with babies, and skunks ripping vents off the home. I also get many calls from people that are having a major flea problem due to skunks living on the property. Skunks are known to carry a heavy amount of fleas. Skunks are like salmon. When a skunk is born under your home, she will come back to where she was born to have her babies. "Read More"
"Under current California law, property owners or their employees may legally remove bats from property in Los Angeles when bats are damaging it. (It is illegal to capture or possess bats for any other reason without a license from the Department of Fish and Game.) Beware of unscrupulous pest control companies in Los Angeles, however, that want to poison or fumigate bats to kill them. "Read More"
We specialize in snake removal in Los Angeles area. Most of our snake calls in Los Angeles are emergencies due to people being deathly afraid of snakes. We specialize in snake removals in Los Angeles, including rattle snake removal and snake inspections of properties. Our snake inspections consist of looking for snake dens, what’s attracting snakes to your property, and snake prevention. We also install snake fencing. Rattlesnakes can strike in 1/25 of a second (quicker than the human eye blinks) and can reach up to half their body length. Let the professionals safely identify, capture, and remove all unwanted snakes. "Read More"
Dead animal removal isn't best job, but it is a needed job. Many of the wild animals I deal with have numerous diseases and die because of them, some get into poisons put out for rats and mice, and many just die of old age. If a large animal (opossum, raccoon, or cat) dies under your home or in your attic it can smell for three to four months. If it is a rat or a mouse, it can smell for two weeks to a month. Not only will you have the smell, but there will also be maggots as well as flies. "Read More"
We service the following Southern California Cities: Los Angeles, Southern California, Manhattan Beach, Los Feliz, West Hollywood, Bel Air, Brentwood, Beverly Hills, Pacific Palisades, Santa Monica, Topanga, West Hollywood, West Los Angeles, Culver City, Marina Del Rey, Playa Del Rey, Venice, Burbank, Glendale, Hollywood, Silver lake, La Canada Flintridge, San Marino, Pasadena, Agoura, Agoura Hills, Calabasas, Chatsworth, Hollywood, San Fernando, Sepulveda, Sherman Oaks, Studio City, Sun Valley, Santa Clarita, Valencia, Universal City, Van Nuys, Thousand Oaks, Long Beach, Palos Verdes, Redondo Beach, Rolling Hills, San Pedro.